Dana Cope, President of Cope Consulting LLC is an educational consultant that specializes in helping children, families, and/or school teams to find solutions to current challenges at home or within the educational system. Together we can make what seems impossible, possible! ﻿Dana Cope, M.Ed. in Innovative Learning is an educator and parent with over 20 years experience as a classroom teacher and coordinator of district-wide programs that support students, parents, teachers, and administrators. Her passion is visualizing creative options to push through challenges on behalf of children. She shares her life with her husband who is a middle school educator and their wonderfully creative, twice-exceptional son. Dana spent fifteen years as a classroom teacher at Title 1 schools in Eureka and Napa, California. She knows the complexity of differentiating for the many students that are in our classrooms, and understands that when a student is not thriving in the classroom it can be stressful for everyone involved. She believes that when we focus on anything we can make it better. She has found that by keeping the school team and family strength based and student centered, everyone benefits. Dana then moved forward spending 5 years in district-level leadership positions for Napa Valley Unified serving two roles as K-12 Teacher Support Coach and K-12 GATE Teacher on Special Assignment. Dana's role as District K-12 Teacher Support Coach enabled her to assist teachers through BTSA induction and beyond at every stage of their careers, so they could then help the complex students within their classrooms. In her role as K-12 advanced learner support she was instrumental in conceptualizing and restructuring Napa Valley Unified's GATE program to what is now Advanced Learner Programs and Services (ALPS). ALPS now provides a full menu of support to meet the needs of the diverse learners in our NVUSD classrooms. This incredible work connected her to every department from Human Resources to Special Education to Curriculum and Instruction and beyond! Her teaching experience enables her to provide support directly to children and her work as coordinator of district-wide programs has enabled her to understand the complexity of developing new pathways to better serve students within our educational system. Multiplying resources and uniting teams to help our youth, our future, learn, grow, and move forward toward reaching their full potential is what she has been put on this earth to do! 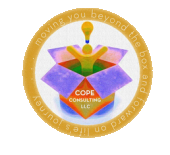 Dana is currently in private practice as founder and president of Cope Consulting LLC. She provides educational consulting support to children, families, or school teams to help find solutions to current challenges at home or within the educational system. Dana was named Napa County Teacher of the Year in 2008 and most recently earned the 2014 California Association for the Gifted Distinguished Service award.